Casino operators are gambling that new kiosk functions will help them provide top-notch customer service to help them cater to existing customers and win new ones. Years ago, casino bosses were able to recognize their guests by sight, providing complementary rooms and other perks to high rollers to keep them playing. Today, keeping track of customers’ playing habits and providing those comps by sight is impossible. In addition, most casinos depend far more on the retirees playing slots in the afternoons and on the weekends for their bread and butter than they do the whales dropping a few grand at the blackjack tables. And with gaming revenue for US casino operators topping $183.8 billion in 2015, up 56 percent from $117.6 billion in 2010, keeping those core customers happy is of prime importance. Kiosk technology is helping to accomplish that task. These days, catering to a casino’s customers is as much a science as it is an art form. When casinos made the transition from mechanical games to digital ones in the 1980s and 1990s, it opened to door to technology that helped them spot their most profitable patrons. Loyalty programs, originally called “slot clubs”, began appearing in many of the larger casinos. Customers would sign up for player cards, and in return for loyalty to a particular casino they would receive reduced-rate or complementary rooms, access to special events, free meals and more. 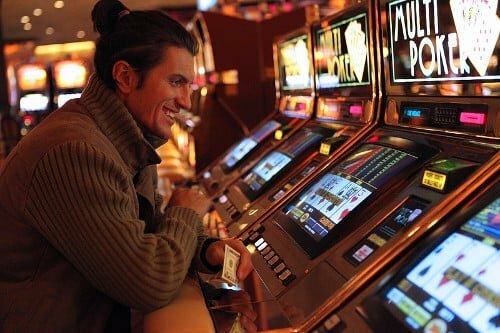 Players would insert their cards into a slot machine or other gaming device, with their level of rewards dependent on their overall playing time (or money wagered). The loyalty cards provided a flood of analytics for casino operators, allowing them to track the playing habits of individual patrons and reward them accordingly, as well as letting them see which games were the most popular and kept patrons playing the longest. And because kiosk technology had long been a feature of casinos in the form of ATMs, it was only a small step to adapt the technology to loyalty cards, allowing a player to swipe their card to see what rewards they had earned. “Certainly, I think part of the idea is to improve customer service,” said David McCracken, CEO of York, Pa.-based kiosk software provider Livewire Digital. Today, it’s not uncommon the see players swipe their card at a loyalty kiosk, only to return to the gaming floor to play enough to reach the next level of rewards. As the capabilities of kiosk technology have grown over the years, so have the services offered by those devices. Livewire, for example, has worked with Foxwoods Resort Casino in Ledyard, Conn., for more than 10 years. Foxwoods is the largest casino in the world with more than 340,000 sq ft of gaming space serving more than 40,000 guests per day. The resort also features a hotel with 1,416 rooms and a two story arcade for children and teens. 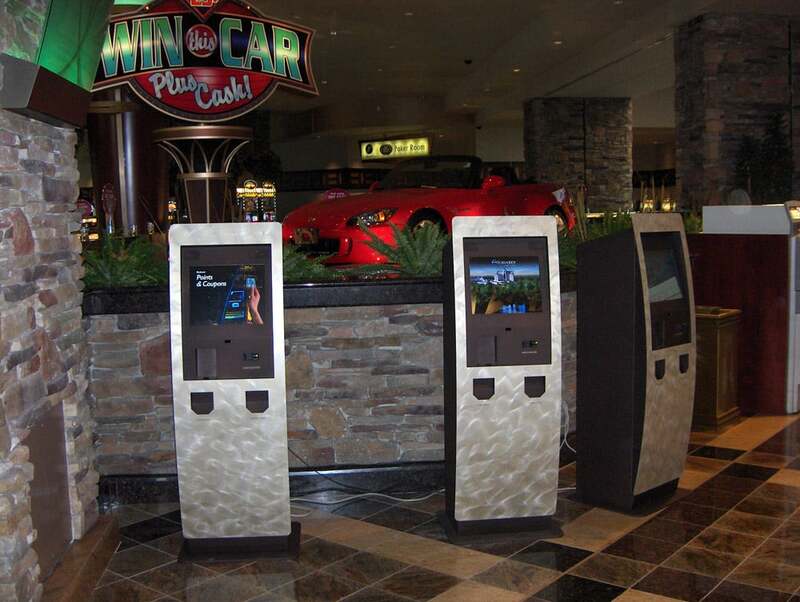 Because Foxwoods’ existing kiosks were becoming dated and offered limited functionality, in 2007 management tapped Livewire to update their machines to a more modern design while adding new functionality for members of the casino’s popular Wampum Rewards Program. Instead of having patrons wait in line at a customer service desk to do things such as redeem points for promotional rewards, Foxwoods wanted to make those services available at the kiosk. Livewire ultimately developed a software solution that integrated the Wampum Rewards Program with Foxwoods’ Casino Management System and Slot Data System. In addition to being able to swipe their loyalty cards to view point balances, patrons can enter sweepstakes, sign up for events and obtain personalized rewards in the form of coupons and bonus slot tickets. Digital signage mounted on the kiosks above the touch screen interfaces display advertising and other casino information such as drawing winners and jackpot payouts. Livewire has more than 80 kiosks deployed around the Foxwoods property. The features being incorporated into kiosks at the casino are being expanded on a regular basis. New functions include wayfinding, food and drink ordering and directing guests to their favorite gaming machines. 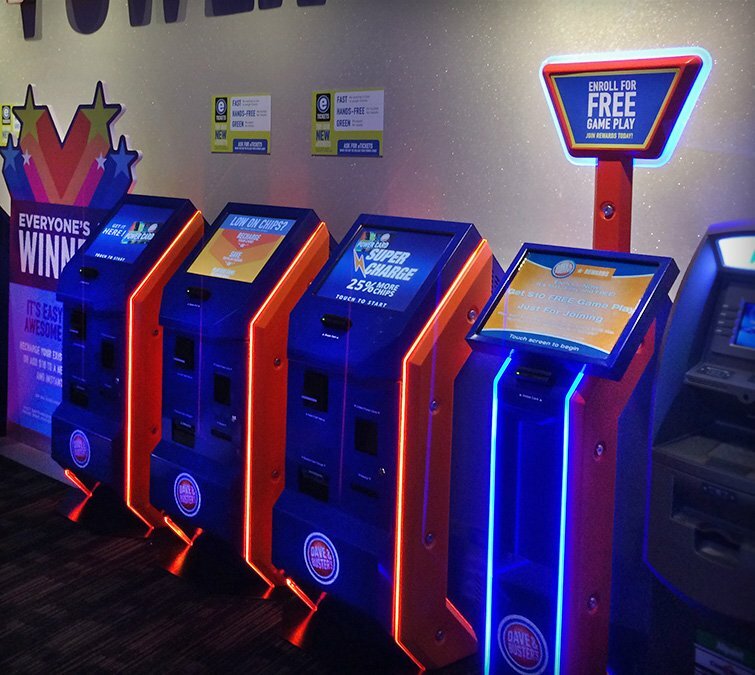 “I’m also seeing a little bit of interest in functions such as player registration, where people can register for slots tournaments and things like that,” said Frank Olea, CEO of Cerritas, Calif.-based Olea Kiosks Inc.
Olea Kiosks is a leading manufacturer of loyalty program kiosks for the gaming industry. The company also serves sectors including higher education, government, human resources, retail and hospitality. The appearance of the devices is changing as well. “Look and feel is changing in the gaming world,” said Liz Messano, sales manager with Las Vegas-based SlabbKiosks. Along with casinos, SlabbKiosks’ customers include government organizations, universities, financial institutions and healthcare providers. “Big and clunky is becoming a thing of the past, so casinos and such are looking to the kiosk industry to help them with this transition,” Messano said. And because many casinos are attached to hotels, companies are incorporating kiosk functions geared to guests spending their vacations on the property. The ARIA Resort & Casino and the Monte Carlo are just two of the 14 properties MGM operates in Las Vegas. The company also operates resorts in Mississippi and Michigan, and holds interests in four other properties in Nevada, Illinois and Macau, China. So with the gaming industry becoming increasingly competitive even as it grows and properties becoming ever more creative in their efforts to attract new patrons, the race is on to develop new self-service capabilities that can be incorporated into the kiosk. The capability of the technology is limited only by the imagination of the people developing those capabilities. Editor Note: Las Vegas and the casinos are a big market for the kiosk industry. Some other iterations or examples we would offer would be hybrid player & dealer interactive tablets where the two-sided table offers one view to the player and one to the dealer. This one was for casino in Macao and designed by CTS of Wisconsin. FourWinds Interactive for interactive application. Previous PostCheap ATM parts, expensive ATM machine headachesNext PostWhy is Amazon expanding to 100 pop-up stores?